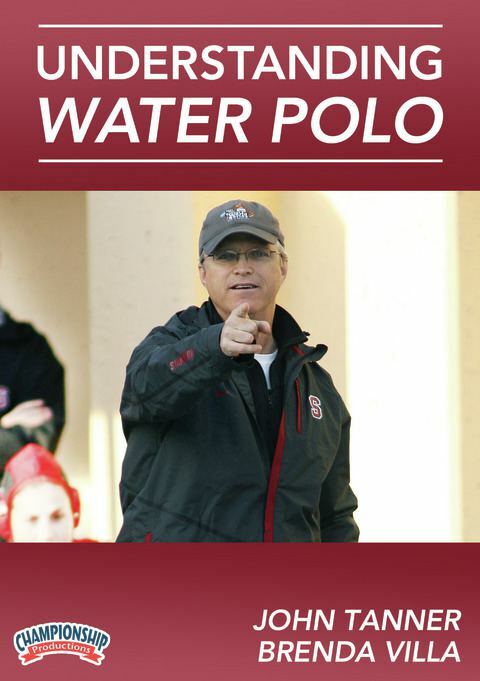 To best understand the game of water polo, John Tanner believes it is imperative to look at the game with a multi-faceted perspective. This includes seeing the game through the eyes of a referee, coach, and player. The goal of this four-part presentation is to create a clear understanding of the game that benefits players, coaches, and spectators along with sharing insights and strategies. Unlike other sports where the whistle indicates a game stoppage, in water polo the whistle indicates continuation of the game, and the whistle pattern indicates both the infraction and how to continue play. In the pool, Coach Tanner defines and demonstrates examples of the following fouls: Ordinary, Exclusion, Penalty, and the Offensive Push Off foul. The detailed explanation Tanner provides coupled with player demonstrations of each of these foul situations--including the whistle pattern for each-- provide a very clear understanding of how these rules effect the continuous play of the game. Invaluable information for players, coaches, and spectators! Coach Tanner engages 3x Olympian Brenda Villa in an information exchange regarding styles of play throughout the world. Both Tanner and Villa share their experiences with these different styles and what challenges these styles create to both playing in or playing against. Discussion includes the importance of advanced planning at any level to be prepared for teams that offer unique challenges. This segment offers a look at understanding tactics of the game. Tanner and Villa diagram and discuss the offensive and defensive strategies for a variety of systems. Tanner first shares his numbering system and proceeds to look at a variety of front court attack and defend strategies. Tanner and Villa present specifics on how to successfully attack and defend and offer invaluable nuances from their experiences as both a coach and a player. Tanner and Villa again look at tactics and strategies for defending and attacking in power play situations. Villa specifically details strategies for a high school level or lower level team that offers the best offensive and defensive tactics for that level of play along with the pros and cons of various power play strategies.